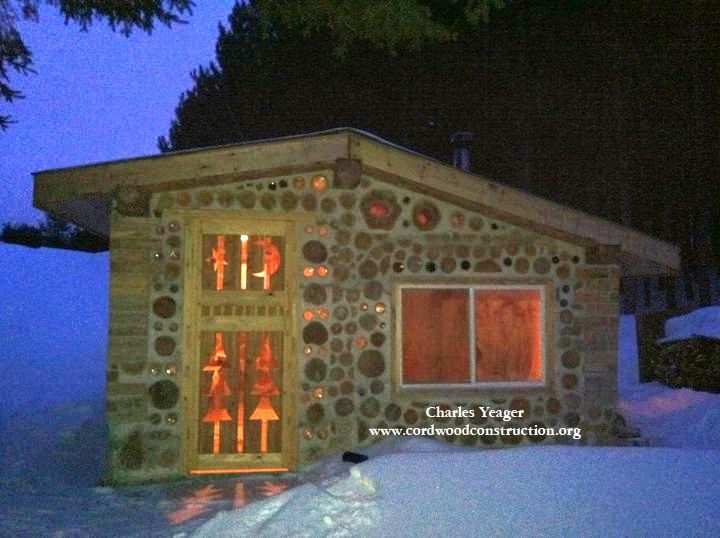 Charles Yeager built himself a gorgeous timber-framed cordwood sauna on Cooper Lake, near Ishpeming, in the upper peninsula of Michigan. 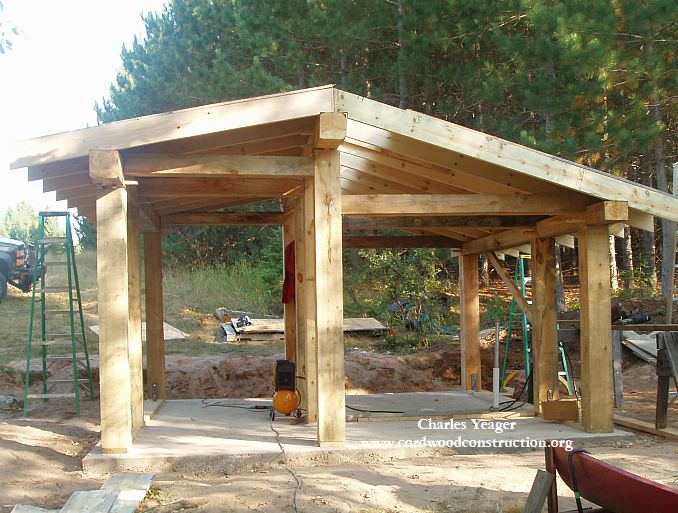 The timbers are made from red, white and jack pine. 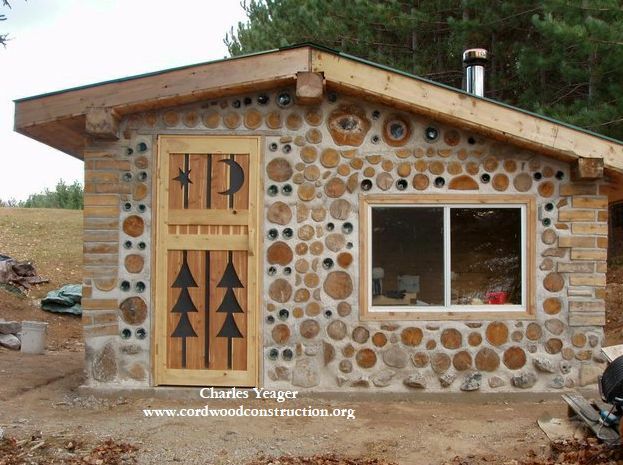 The cordwood is Northern White Cedar except for 5 hollow pieces of white pine that I used for windows. 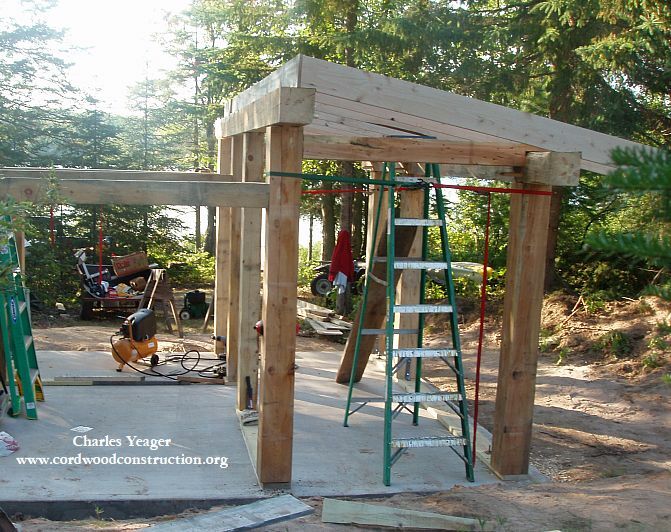 Note that the timbers are attached to a piece of treated wood as a base plate. 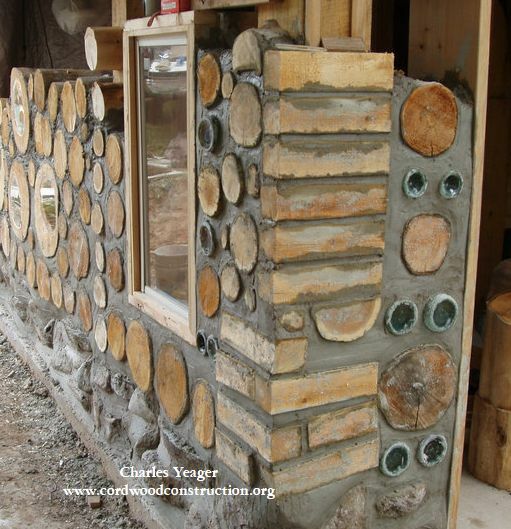 The stackwall corners are placed up against the timber frame to create the 12″ cordwood walls. 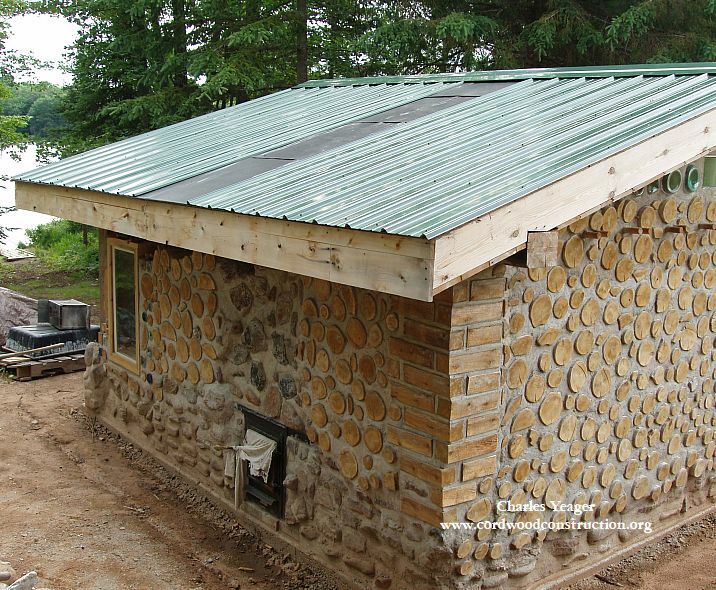 Editors note: we would suggest screwing the stackwall corners to the interior posts for the stability of the quoins. 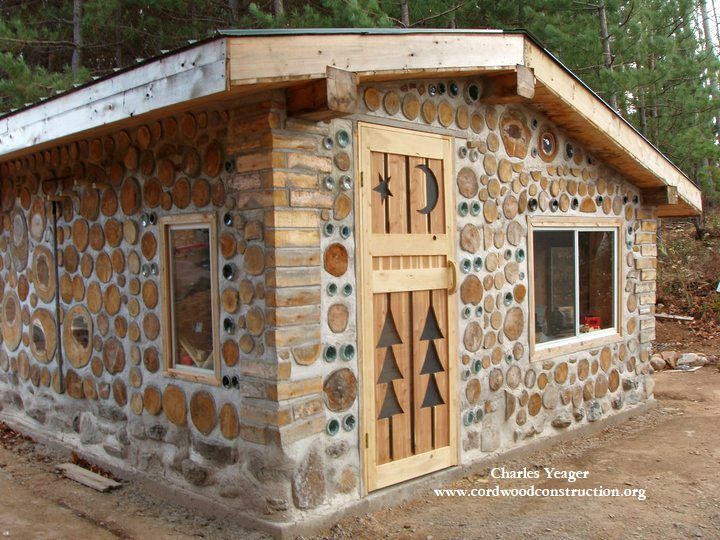 Cordwood on the outside walls is 12 inches long. 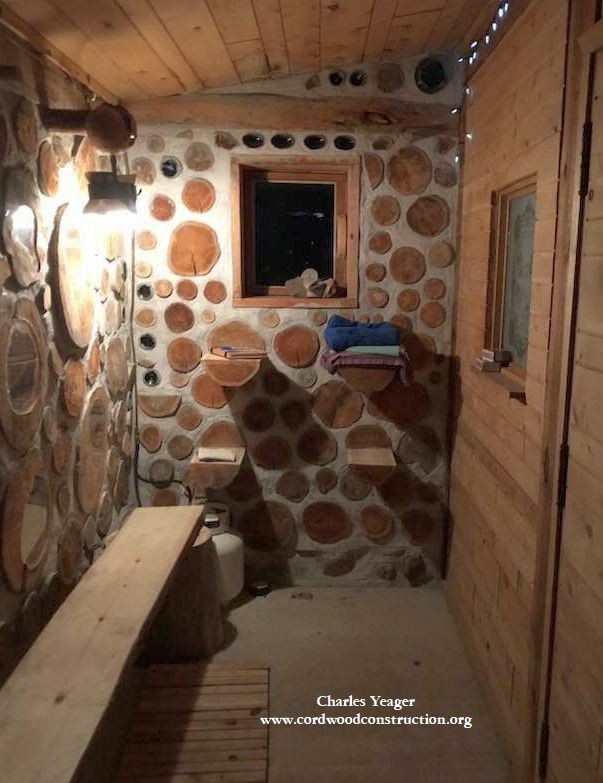 The walls of the sauna room have 6″ cordwood on the outside. 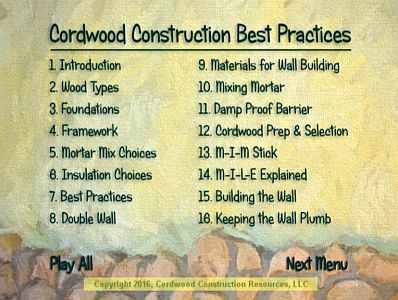 Inside of that, I had framed in walls with insulation, Tyvek, Aluminum foil and tongue and grove cedar. 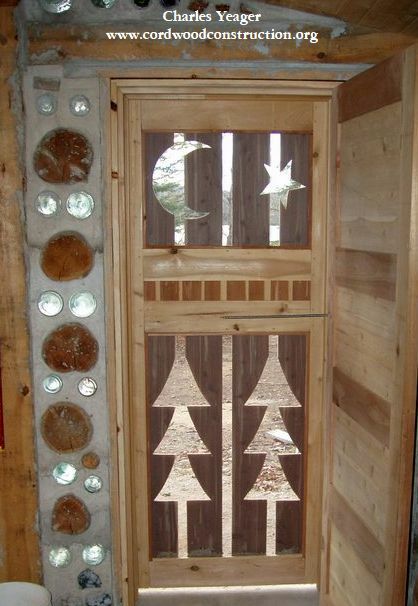 The door is a double door that creates a very attractive star, moon and tree motif. 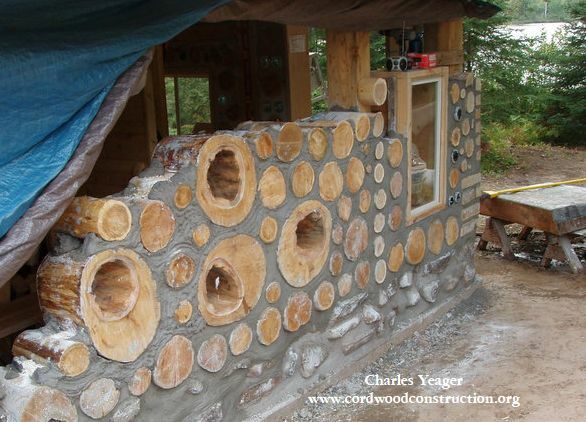 Bottle logs were made by cutting off the necks and putting the two remaining parts of the bottles together using aluminum flashing and duct tape. 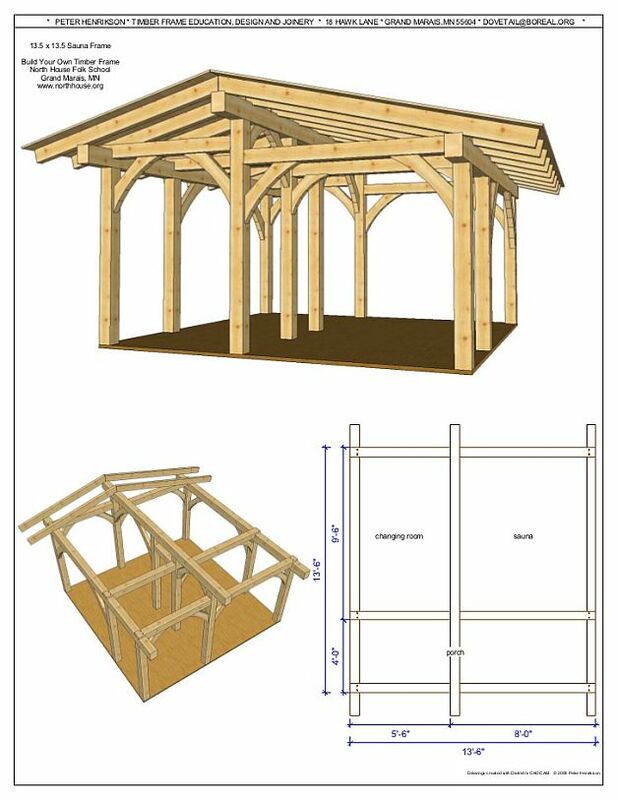 The interior walls of the changing room, the walls of the sauna room and the ceiling are tongue and groove white cedar. Windows were recycled and I made the window boxes. I put in a Nippa outside feed stove (see picture). 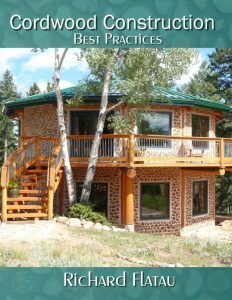 This keeps the inside of the sauna relatively clean of wood debris. There’s nothing quite like sauna (sow-na) on a cold, winters night. 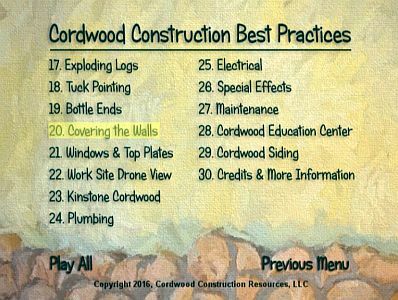 Thank you Charlie for the most excellent pictures and description of your cordwood masterpiece. Very nicely done.